TORONTO, Ont. — Every year, the Canadian International AutoShow brings more than 1,000 new cars, trucks and SUVs in front of consumers, making it one of the best places for prospective consumers to begin shopping for their next vehicle. Among the 32 Canadian debuts at this year’s AutoShow, 24 will be presented to members of the media during the Media Preview Day tour on February 14th, including five concept cars and two all-electric racecars. Media Preview Day at the Canadian International AutoShow is presented by Castrol, KPMG and Canadian Black Book. See Backgrounder below for descriptions of each vehicle being debuted at the Canadian International AutoShow. There will be two media registration offices: In Room 204 off the main lobby of the North Building, just inside the Front Street entrance, and in Rooms 605/606 on the 600 level in the South Building, near the entrance from the south parking garage. The main media office will open in Room 204 on February 11th. There will be a media office open in Rooms 605/606 in the South Building for February 13th and 14th. The media office in room 204 will close at 2 p.m. on February 14th. It will re-open on February 15th as a working media centre and lounge for the duration of the AutoShow. On Media Day journalists are free to use Room 204 as a working centre until 2 pm. Rooms 605/606 will be open as a working media centre for the duration of Media Day. Parking on Media Day is available in both the north and south parking garages of the Metro Toronto Convention Centre. Parking passes for the day will be provided in both media registration offices. KPMG operates in more than 40 locations across Canada. The firm has more than 700 partners and more than 6,500 employees provide crucial services to many of the top business, not for profit and government organizations in Canada. KPMG works closely with its clients, helping them to manage risks and take advantage of opportunities. Among the incredible special features at the Canadian International AutoShow, it is the new cars making their first appearance in Canada that are the stars of the show. 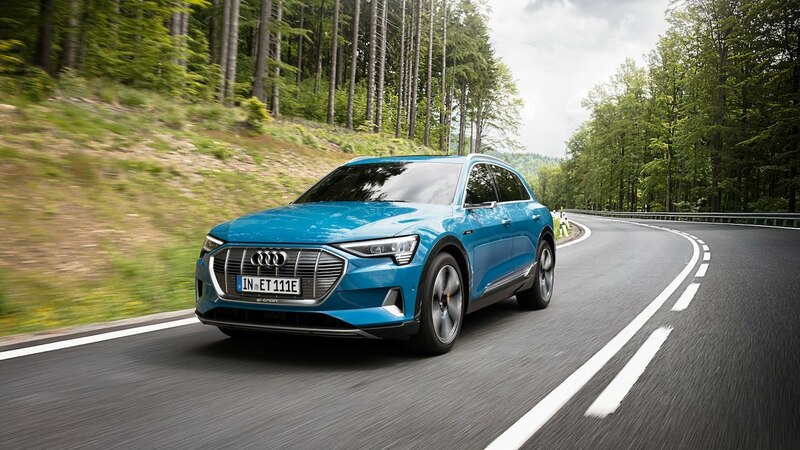 The all-electric SUV Audi e-tron is equipped with an entirely new Quattro all-wheel drive system, intelligent technology and superior performance that makes driving practical for everyday life with limitless possibilities. The exterior was designed to minimize drag and maximize range. Inside is two large touchscreens that control everything from navigation to climate and the Audi Virtual Console offering unique displays, graphics and readouts. 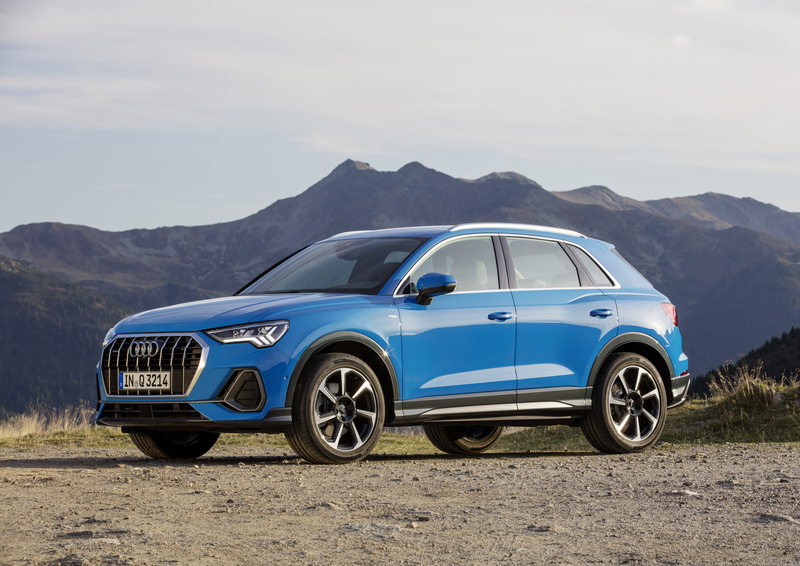 The new Audi Q3 is a family SUV with great all-round talents. 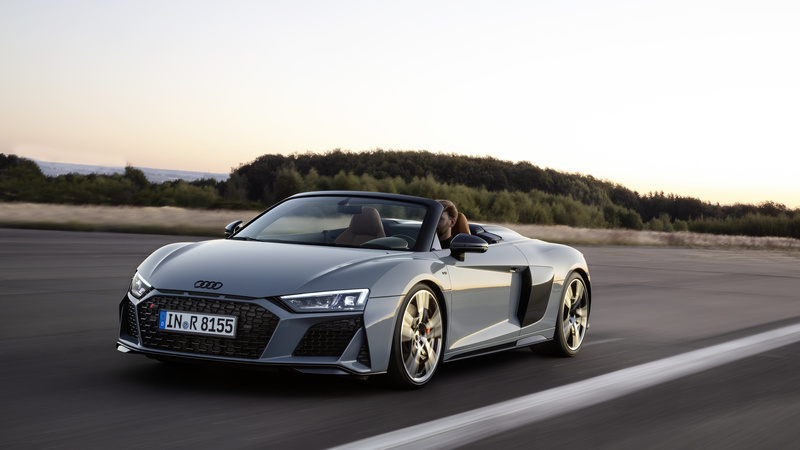 In the second generation, it appears not only visually more self-confident, but offers far greater utility value thanks to abundant space, comprehensive adaptability and many practical details.Just like the Audi top-of-the-line models, it features a digital operating and display concept, extensive infotainment solutions and innovative assist systems. These ensure additional comfort, as does the enhanced suspension. 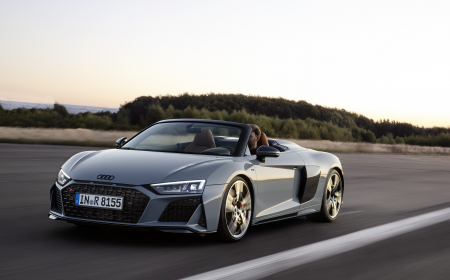 With a more sleek look, there are few cars as close to motor racing as the Audi R8 Spyder. Instant response, lightning-fast high-revving and a unique sound – the heart of the Audi R8 is its V10 naturally aspirated engine. The honed character of the new R8 models also becomes clear visually. The Single frame radiator grille has a wider, flatter line. Thick bars divide up the large air inlets. Flat slits in the hood are reminiscent of the Audi Sport quattro brand icon. The new front splitter is now wider, as is the striking low-set air vent grille at the rear. The grille rounds off the diffuser that extends quite some way up. All of which underlines the sporty look of the Audi R8. The all-new new BMW Z4 is a modern addition to the brand’s long history of captivating roadsters. Engineered with a focus on agility, performance, and precise handling, the Z4 showcases BMW’s new design language in a two-seater with a fully electric soft-top. 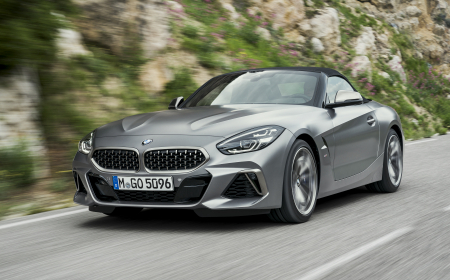 The vehicle’s ideal 50:50 weight distribution and aerodynamically optimized body offer pure BMW driving dynamics, while features such as BMW Back Up Assistant, Forward Collision Warning and Daytime Pedestrian Detection with City Braking underscore the highly advanced nature of the new BMW Z4. 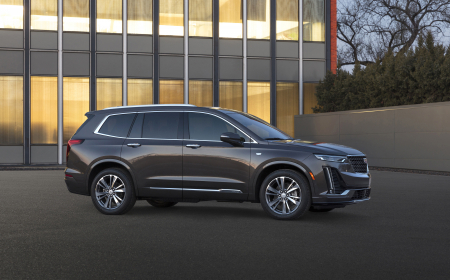 The all-new three-row Cadillac XT6 is the latest Cadillac SUV to hit the market. 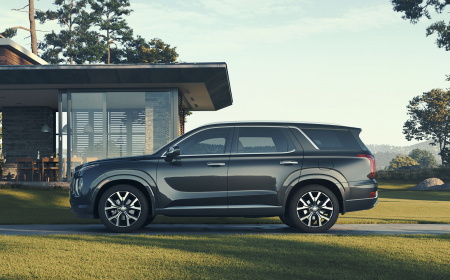 A luxurious cabin is well connected with features like wireless charging, 4G LTE wireless hotspot, Apple CarPlay and Android Auto and personalized user profiles. 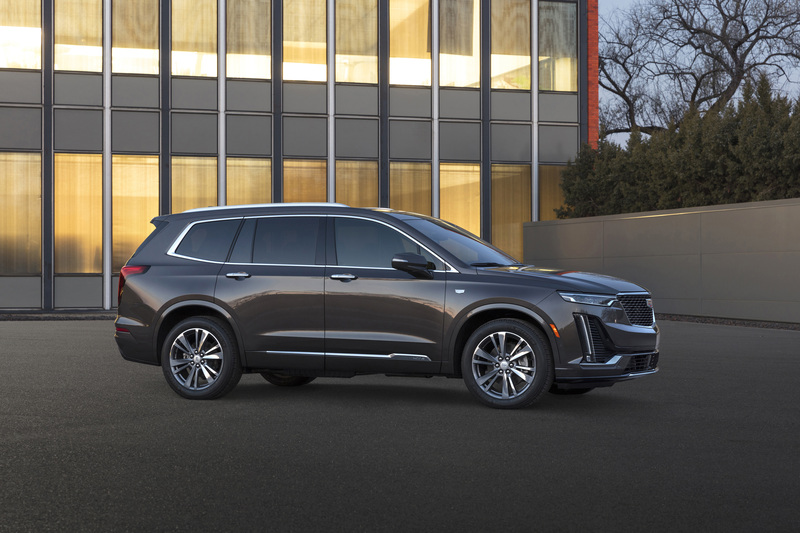 Powered by a 3.6L V-6 engine and nine-speed automatic transmission, the XT6 offers a rewarding balance of responsiveness and refinement. 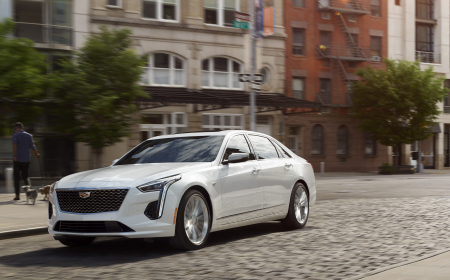 The high-performance Cadillac CT6-V is the embodiment of an exhilarating driving experience without compromise. 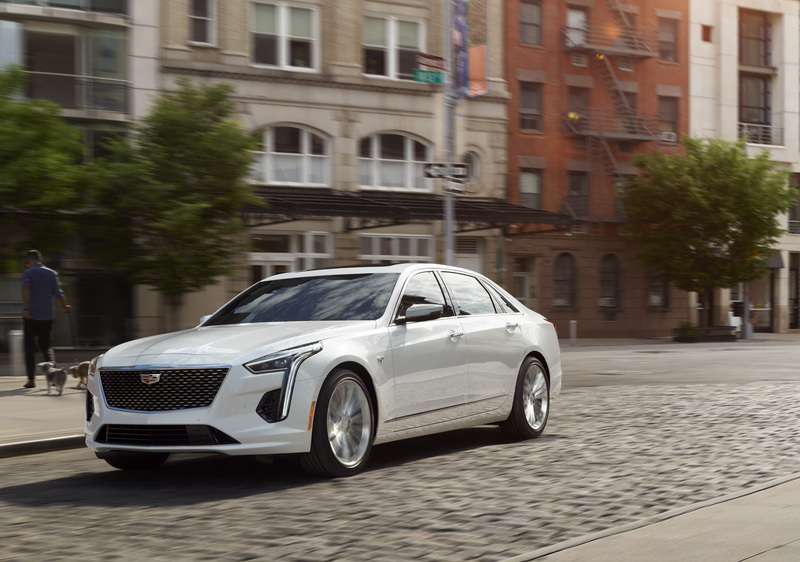 A perfect balance of power, design and technology, the CT6-V boasts the Cadillac 4.2L Twin Turbo V-8, pushing out 550 horsepower and elevating the CT6’s performance to a new plateau. Inside is found a dynamic platform that offers a smartphone-like experience with an intuitive interface, and the ability to be updated over time to meet a customer’s evolving connectivity needs. It leverages the cloud and available embedded 4G LTE connection to enable personalization, available connected navigation and news, marketplace and entertainment applications via the app store and a new rotary controller that offers users alternative ways to interact with the system. 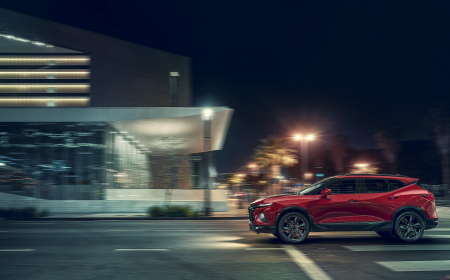 All-new in 2019 is the return of the Chevrolet Blazer, the boldest and most progressive expression of Chevrolet’s design. The model is defined by a wide stance, tight proportions and dramatic sculpting. Propulsion comes from a standard 2.5L I-4 engine (193 hp) featuring intelligent Stop/Start and backed by a nine-speed automatic transmission that is standard on Blazer 2.5. A 3.6L V-6/nine-speed combination with 305 horsepower and Stop/Start is standard on the Blazer 3.6, RS and Premier models. 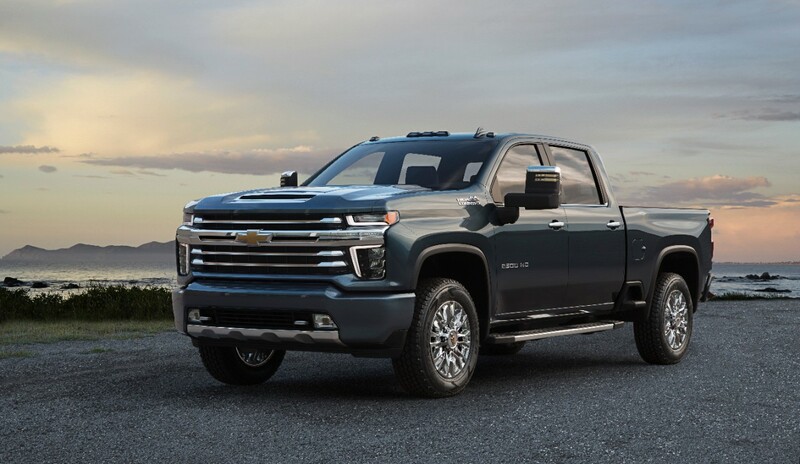 The 2020 Chevrolet Silverado HD debuts the most capable and advanced Silverado HD ever. With a bold new design, the sculpted form follows its enhanced heavy-duty function. The interior benefits from similar architectural changes made to the all-new Silverado 1500, including an additional 3 inches of legroom on crew cab models and a taller, more comfortable seating position. 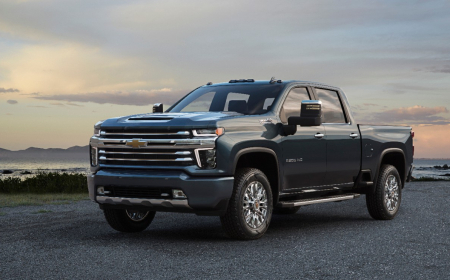 Under the 2020 Silverado HD’s hood is a choice of two new powertrains: an all-new gasoline engine with direct injection mated to a six-speed transmission, or the Duramax Turbo-Diesel V8 delivering 910 lb-ft of torque through an all-new, Allison 10-speed transmission. 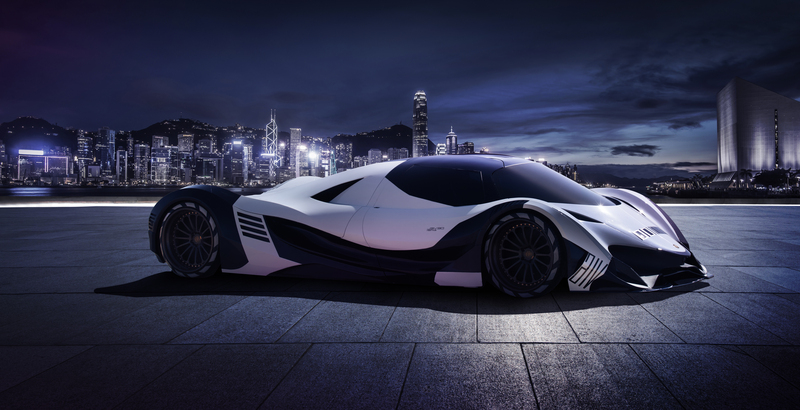 One of the world’s most mysterious and powerful hypercars, the top-end model of the Dubai-built Devel Sixteen has a massive quad turbo V16 engine pushing out an incredible 5,007 horsepower. 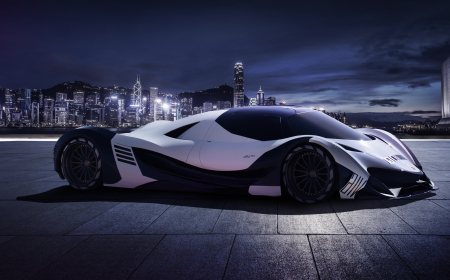 The Canadian International AutoShow is the first opportunity to see the Devel Sixteen in the Western Hemisphere. 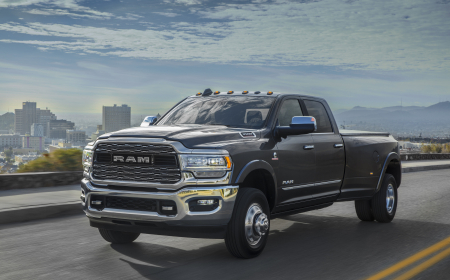 Ram Truck’s new Heavy Duty models out-power, out-tow and out-haul all rival pickups. The new 6.7-litre Cummins High Output Turbo Diesel achieves a milestone 1,000 lb.-ft. of torque, meaning an industry-leading 35,100-lbs. towing capacity and 7,680-lb. of payload prowess. Ram Heavy Duty rides on a new, 98.5-percent high-strength steel frame that is lighter and stiffer. The standard 6.4-litre HEMI® V-8 with cylinder deactivation delivers a class-leading 410 horsepower and 429 lb.-ft. of torque. It’s mated to a new, class-exclusive TorqueFlite eight-speed automatic. 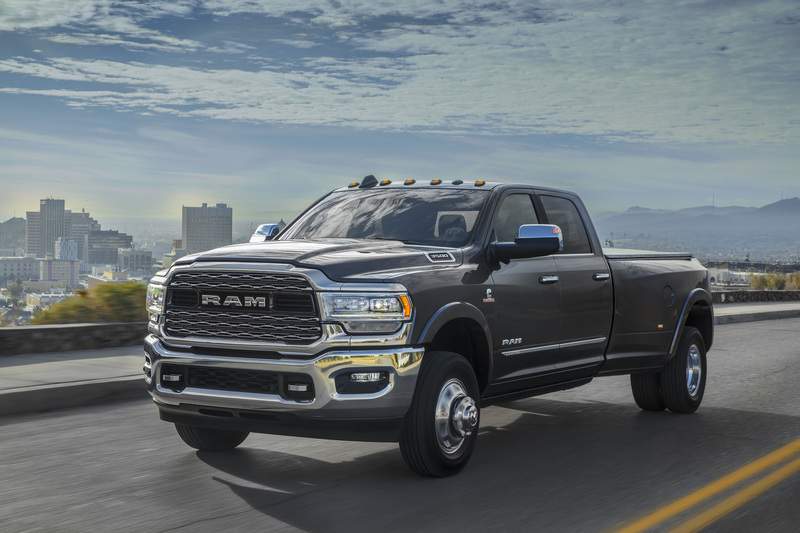 Ram redesigned the Heavy Duty lineup to be the best riding, handling and towing ever with more than 100 safety and security features and an emphasis on comfort and confidence. 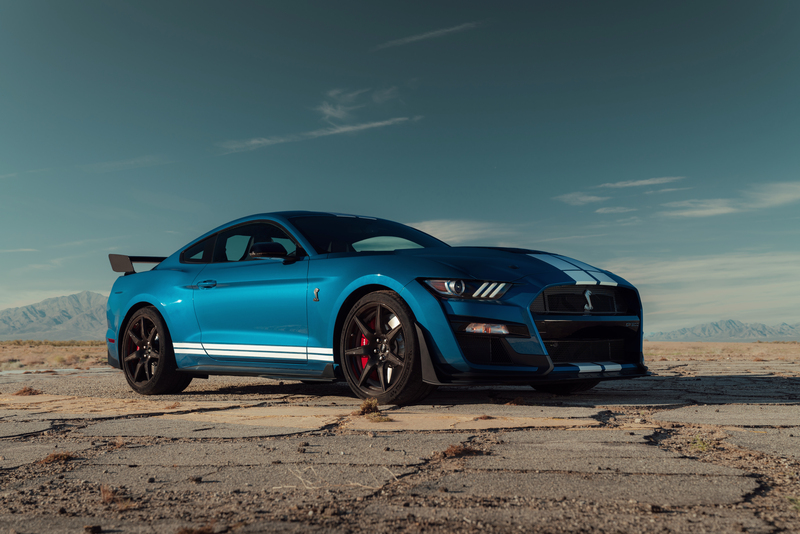 The 2020 Mustang Shelby GT500 is the most powerful street-legal Ford ever, featuring a supercharged 5.2 litre V8 engine delivering more than 700 horsepower. Capable of mid-three-second 0-60 mph and sub-11 second quarter mile drag times, the new GT500 features best-ever Mustang braking, cornering and track times thanks to tech transfer from GT/Mustang GT4 racing program — including a muscle car first dual clutch transmission. 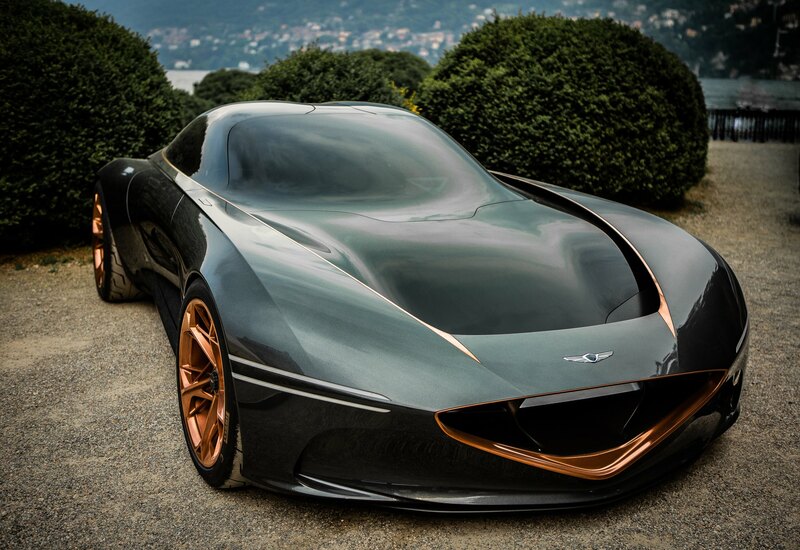 The all-electric, high-performance Genesis Essentia Concept is the brand’s first battery electric vehicle and features a lightweight carbon-fiber monocoque, a robust, multi-motor electric powertrain and a custom-tailored interior. 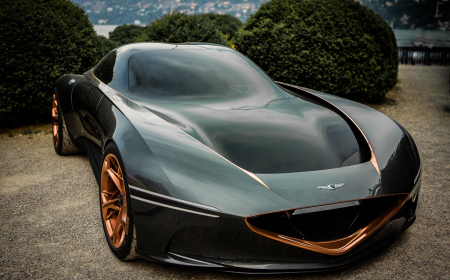 Essentia is the brand’s initial concept for a true GT car and challenges the status quo as the ultimate manifestation of Genesis design and engineering. As a capable, thrilling sports car designed to counter the complexities of a modern lifestyle, Essentia offers serenity, clarity and beauty. The 2020 GMC Sierra HD has a commanding, powerful design rooted in a new architecture with larger proportions. It is taller and longer, with a more confident stance defined by a bold design that epitomizes GMC’s signature refinement and technologically driven attention to detail. Inside, the Sierra HD’s new interior has best-in-class front head- and legroom (maximum), with Crew Cab models. A higher seating position complements the truck’s taller profile to offer a confident view from behind the wheel. The proven Duramax 6.6L turbo-diesel engine offers high torque, high power, low noise and exceptional durability. 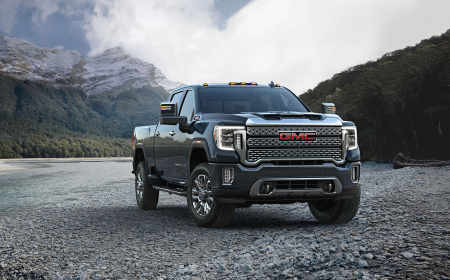 The new Sierra HD also marks the introduction of an all-new 10-speed Allison automatic transmission — the first-ever offered in the heavy-duty pickup segment. 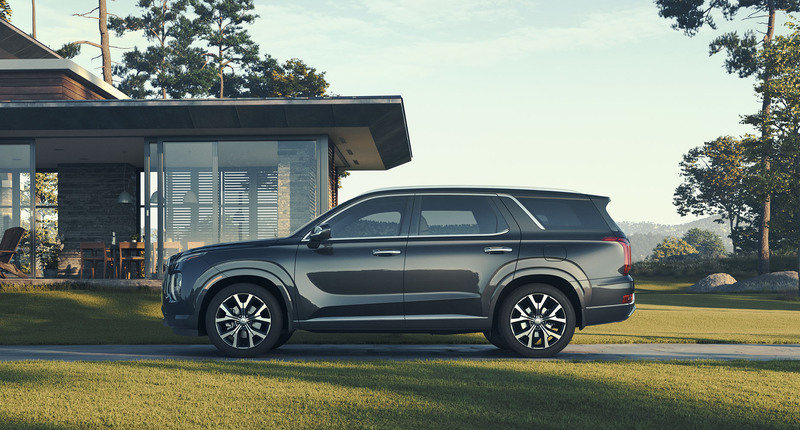 The 2020 Hyundai Palisade, as stunning as it is accommodating, is more than just a pretty face. Spacious and airy with seating for eight, Palisade premiers the first-ever tech and safety that will set new standards for SUVs, and the world. It comes available with a class exclusive blind-view monitor, fully digital instrument cluster, second- and third-row power folding seats and an in-vehicle intercom with kid’s quiet zone. The Infiniti QX Inspiration is the latest concept vehicle from Infiniti representing the brand’s electrified future and the beginning of a new era. The development of this new electric vehicle platform allows for a spacious, lounge-like interior with technology following the Japanese principle of omotenashi, creating a welcoming environment while assisting drivers and connecting occupants to the world around them. 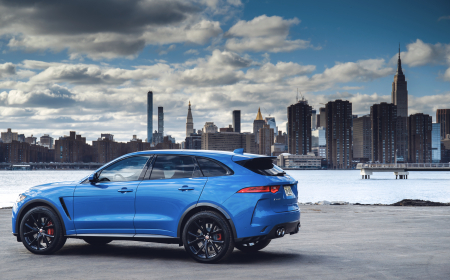 The newest addition to the award-winning and best-selling Jaguar F-Pace performance SUV lineup is the 2019 Jaguar F-Pace SVR. Equipped with a 550PS, 680Nm 5.0-litre V8 supercharged petrol engine and capable of 0-100km/h in 4.3 seconds (0-60mph in 4.1 seconds) and a top speed of 283km/h (176mph), the SVR features bespoke suspension, aerodynamic enhancements and new lightweight 21 and 22-inch alloy wheels to accommodate the uprated brakes. A Variable Valve Active Exhaust system ensures the supercharged V8 engine delivers a soundtrack to match its performance. 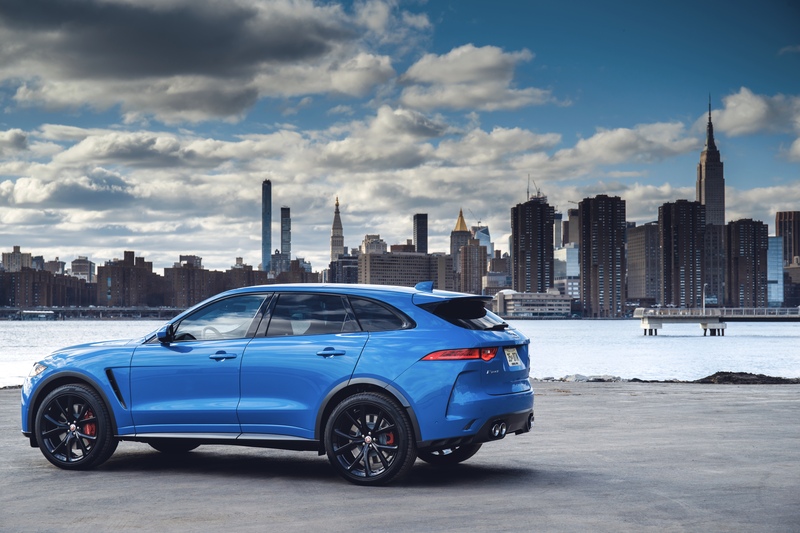 Inside, the F-PACE SVR gets slimline sports seats featuring the SVR logo while the Sport Shift Selector underlines the SUV’s sports car character. The brand that established the original luxury crossover segment two decades ago showcases its flagship luxury crossover — the Lexus LF-1 Limitless Concept. A seamless convergence of angular and organic design, featuring digital side-view monitors, 4D navigation, a Chauffeur mode for autonomous driving capabilities and more, the Lexus LF-1 Limitless Concept is a showcase of technology, innovation and the latest evolution of design at Lexus. Creating the purest connection between car and driver, the McLaren Senna is the personification of McLaren’s DNA at its most extreme. Inspired by one of McLaren’s greatest racing drivers, the Senna is the most track-worthy road car in its lineup. 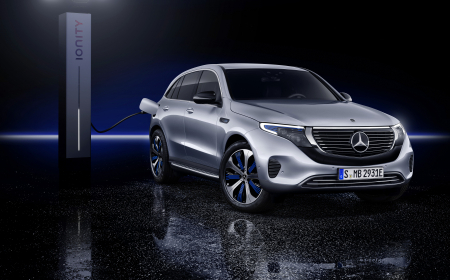 The first fully electric vehicle in the Mercedes-Benz roster, the EQC SUV boasts the quality, safety, comfort and performance expected from a Mercedes-Benz. 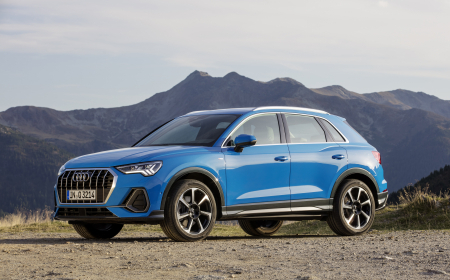 It features an all-new drive system with electric motors at the front and real axles, giving the EQC the driving characteristics of all-wheel drive and generating a combined output of 402 horsepower and a preliminary range of 450 kilometres (according to the European NEDC). 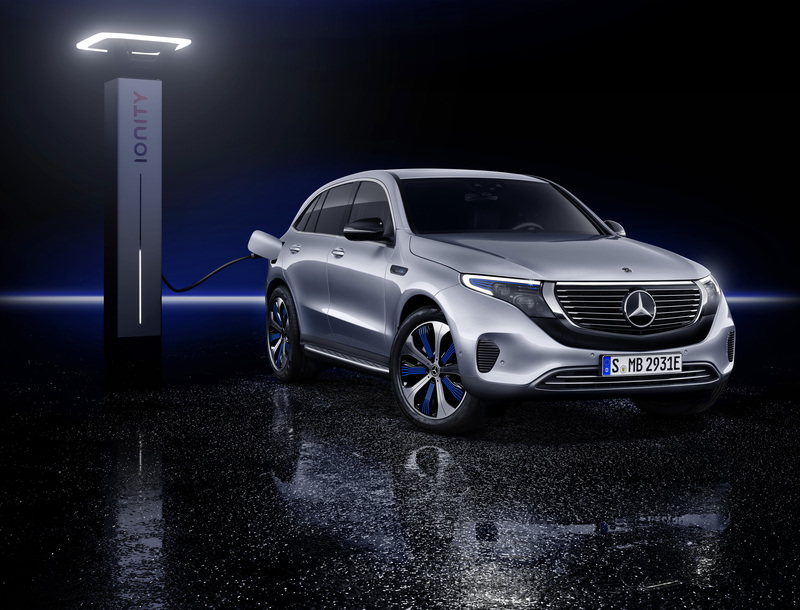 It comes equipped with Mercedes me connect, which provides a comprehensive suite of services to seamlessly connect drivers to changing infrastructure, making electro-mobility convenient and suitable for daily driving. 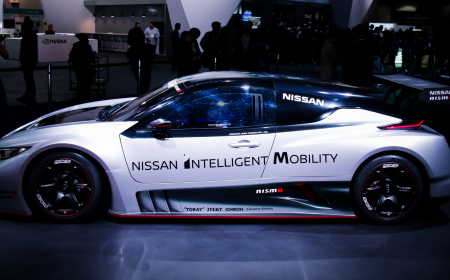 With dual electric motors, all-wheel drive and an aggressive re-styled body, the Nissan NISMO Leaf RC demonstrates how electric vehicle technology can deliver exciting yet quiet zero-emission power. It is powered by two electric motors at opposite ends of the chassis, producing 322 combined horsepower and an astounding 472-lb. ft. of instant torque to the wheels. They more than double the maximum power and the torque output of the previous LEAF NISMO RC, which was introduced in 2011. Nissan returns a staple to its Canadian lineup with the 2019 Nissan Maxima sports sedan. The retooled and redesigned Maxima transforms your drive from elevated to exhilarating at the touch of a button. Nissan’s Safety Shield suite of features ensures your safety, with standard Intelligent Emergency Braking, available blind spot warning and rear cross traffic alert. 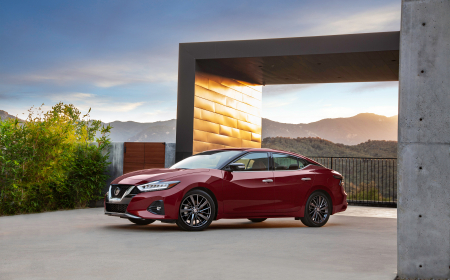 The 2019 Nissan Maxima features a more voluminous front grille with a deeper V-motion flow that carries into the hood and down the body to the redesigned rear tail lamps and rear fascia. The standard jewel-like LED headlights and Nissan Signature Daytime Running Lights add to the Maxima's premium, high performance appearance. 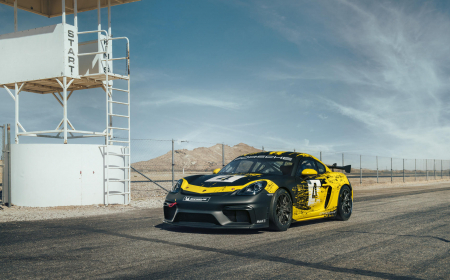 Lightweight and well balanced, Porsche’s new 718 Cayman GT4 Clubsport represents pure motorsport. Powered by an aluminum six-cylinder mid-mounted boxer engine, it pushes out 425 horsepower. 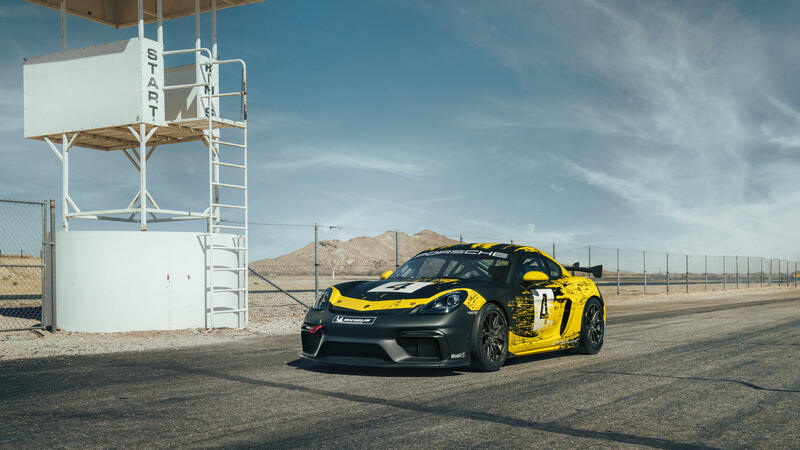 Whether driving it at a track day or in wheel-to-wheel competition, like in the 2019 Porsche GT3 Cup Challenge Canada by Yokohama Series, it is in its element. But be careful: the more you drive it, the less you want to stop. The new 718 GT4 Clubsport is more than a commitment to the racetrack, it is a declaration of addiction to motorsport. The Toyota Fine-Comfort Ride Concept is Toyota’s latest vehicle that envisions mobility in a low-carbon society with advanced utilization of hydrogen and renewable energy. Rotating seats allow flexibility for up to six adults with varying personal preferences for posture, communication and relaxation while the touch-display ‘Agent’ functions enable all to freely access information. 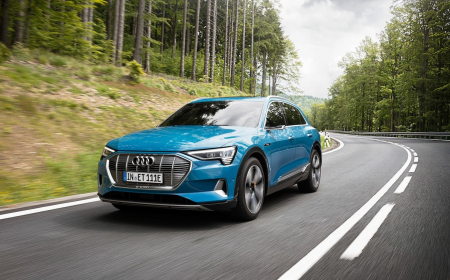 Future at its finest, the Fine-Comfort Ride has a hydrogen refuelling time of about three minutes and offers a cruising range of approximately 1,000 km. Go further and experience more with the all-new Toyota Prius AWD-e. With a combined fuel consumption of 4.7 litre per 100 kilometres, it is one of the most fuel efficient AWD vehicles on the market. The AWD-e uses an independent electric, magnet-less motor to power the rear wheel. In addition to all-wheel drive, the AWD-e also debuts refined front and rear styling and additional interior updates. Touted as a four-door hot rod, the all-new Volkswagen Jetta GLI has the power of a racecar — boasting a 228-horsepower 2.0-litre turbocharged engine and independent rear suspension — and the luxury of a sedan. The Volkswagen I.D. Crozz all-electric SUV concept carries the future of automotive technology, from voice-activated doors to planned self-driving technology. It is powered by an 83 kWh lithium-ion battery pack with an electric motor on each axle. Volkswagen’s first electric racecar, the I.D. R made its racing debut at the Pikes Peak International Hill Climb, and subsequently became the first car to complete the trek in less than eight minutes. 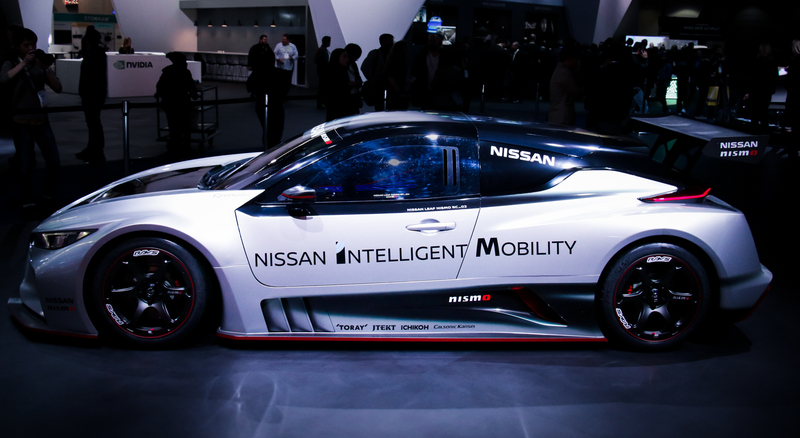 Also expected to make their Canadian debut in Toronto are undisclosed reveals from Nissan, Subaru and McLaren.